A German Shepherd is usually considered a Senior when they become 9 years old. They may experience a decline in metabolism which puts them at high risk of obesity. 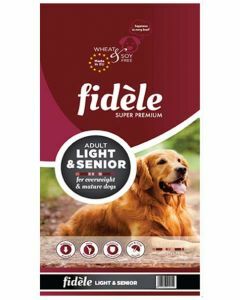 So a diet that has moderate calories and a rich fibre content suit best for elderly German Shepherds. 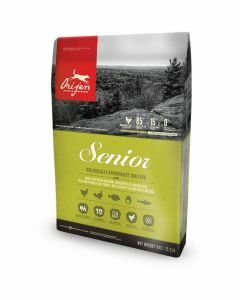 In order to maintain superb health in your senior German Shepherd, we at PetsWorld have a diet like Orijen Senior Dog Food, which has highly delicious Fresh Free-Run Chicken and Turkey, Nest Laid Eggs and Wild-Caught Fish. 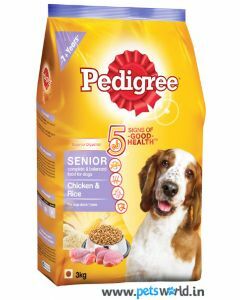 It has Low Glycemic Carbohydrates which keeps ideal body weight and prevents diabetes in the dogs. The infusions of Gently Freeze Dried Liver promises to make the diet delicious even for the fussiest of eaters. 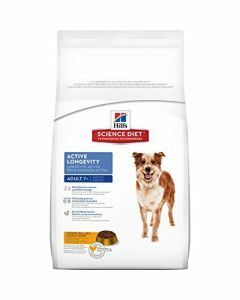 Hills Science Diet 7+ Active contains all the vital nutrients including super anti-oxidants which delays the ageing effect in the elderly German Shepherds. The diet is rich in fibres which promotes healthy digestion and also supports greater assimilation of vitamins and minerals. It also has L-Carnitine which helps in burning the excess fat deposits present in the body to raw energy.